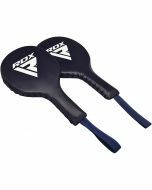 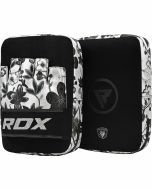 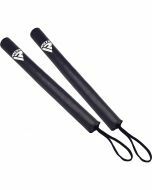 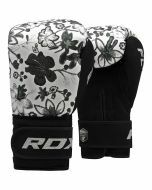 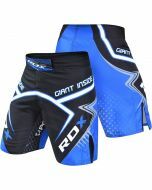 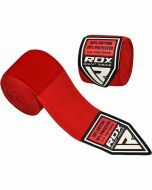 The RDX Sports ladies focus pads are a great way to bring a little personality to your training sessions. 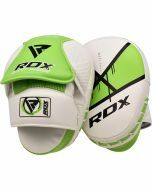 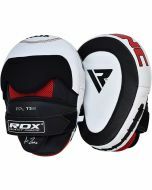 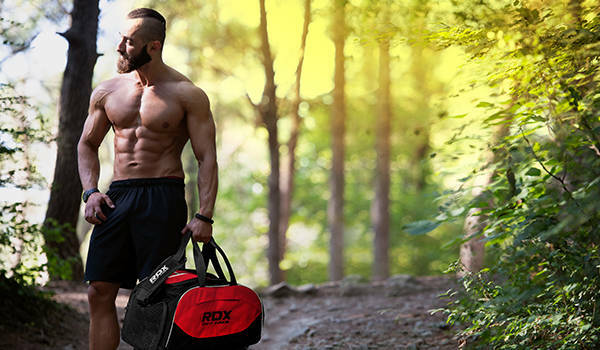 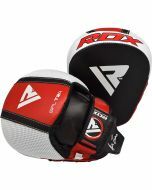 Ideal for speed training and combo drills, these focus mitts are made with a soft suede casing and synthetic fiber detailing called Flora Skin, which is unique to RDX Sports. 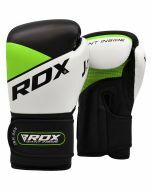 The interior is double-stitched to encourage tear resilience and the thick EVA-LUTION foam padding ensures max shock resistance. 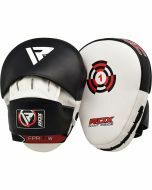 The cut finger design gives the wearer a better grip and encourages proper air flow to the hands that keeps them cool and sweat-free. 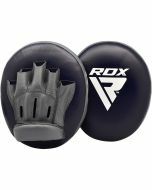 Handcrafted, these boxing pads will soon become a staple feature of your training routine.